Back in 2007 when Steve Jobs announced Apples’ new future, most people used computers to access the internet. Ten years later, mobile is now the king of web browsing. In October 2016, mobile and desktop crossed over, with mobile and tablet browsing now accounting for 51.3% of web traffic. A decade on, there are now 2,200,000 iOS apps available, with this number growing every year. In comes as no surprise, that there are quite a few apps available for those engaged in influence marketing. While the platforms and agencies appear to be relatively slow at converting many of their products to apps yet, some have dipped their toes in the water, and it will only be a matter of time before the bigger name companies join them. 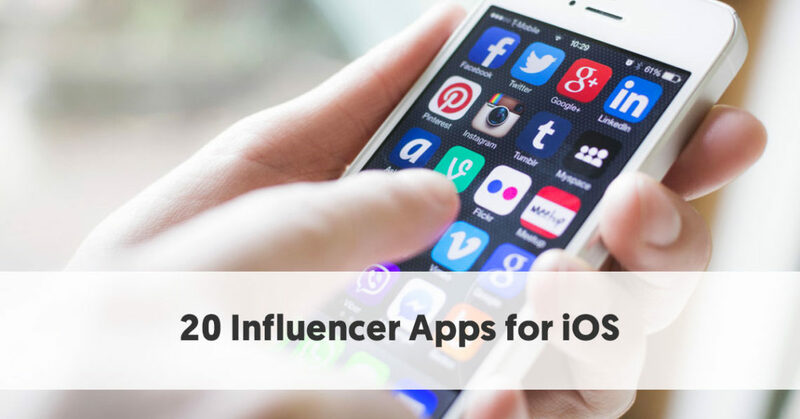 These apps are a mix of platforms, ways to find influencers, ways to track your social media. Tools to enhance social media posts, and ways to automate your social media accounts. Note. 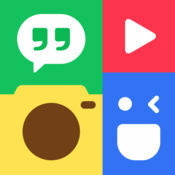 Many of these apps are also available for Android devices. The best place to start this roundup is discussing the app that some of you will be using to read this post. The Influencer Marketing Hub app is a great way to keep up-to-date with all things influencer marketing. We have managed to build up a sizeable library of articles covering a wide range of topics relating to influencer and social media marketing. Our app provides reviews of platforms and agencies, as well as a selection of resources to assist those keen to engage in influencer marketing. Our app includes all of the relevant details for our forthcoming Under the Influence - Influencer Marketing Conference, including details on our enlightening influencer marketing experts and keynote speakers. 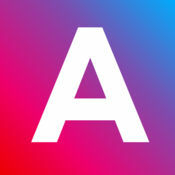 Although Amplifr will work acceptably in any browser they do have a native iOS app to give a better user experience on Apple’s mobile devices. 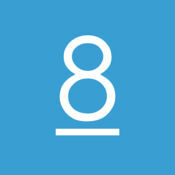 Amplifr helps you schedule posts across social networks. Scheduling software, such as Amplifr is probably the only way that many influencers, with a high social media output, could manage all of their postings. It provides three levels of analytics: single post stats, daily stats, and an analytics dashboard. We looked at the Blogmint Influencer Marketing Platform in our roundup of 25 Top Influencer Marketing Platforms to Boost your Campaigns. They are one of a surprisingly small number of the platforms to create a native iOS app to assist their clients. 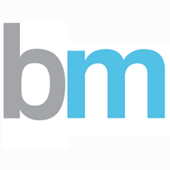 Blogmint is a leading influencer marketing platform in Asia, focusing on blogs, Twitter, Instagram, and YouTube. If you are a Blogmint client you can use the app to organize your campaign and set it to send you any relevant campaign alerts. You can also use the app to schedule tweets to be sent at a set time in the future. Influencers can use the app to manage their profiles. BoostInsider is an influencer marketing platform allowing businesses to find and connect up with relevant influencers. They work with a full range of influencers - celebrities, top influencers, and micro- influencers. influencers have to apply to join BoostInsider. They particularly focus on the fashion and gaming niches. The app is aimed at social media users wishing to share information about products from their favorite lifestyle brands, tech companies, and game & app developers. They are encouraged to share content on the social media channel of their choice. 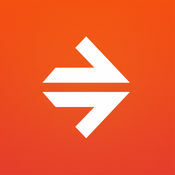 The app then allows them to monitor their influence in real-time on the Boostinsider dashboard. You can create a profile using the app, request to work with new people, chat, send and receive payments, and leave reviews. Collabor8 describes themselves as being “exclusively inclusive”. This means that they do not turn away people because they have too small a following. They believe that anybody can become an influencer. However, brands can easily filter the types of influencers they want to work with - including minimum follower numbers. There is a paid Gold Membership Version which gives extra features and allows greater collaboration. Crowdfire describes itself as the world’s first AI-driven marketing bot that helps 100 million individuals and small businesses go big online. As well as small businesses, Crowdfire targets writers, influencers, freelancers, artists, e-sellers, and bloggers - “the underdogs who will rule the world”. If you are a member of Crowdfire you connect all of your social media accounts, your website, and your blog. It then assists you to grow your online presence. It monitors your accounts and gives you a few tasks each day to help move you closer to your goals. Crowdfire finds relevant content for you to post for your audiences each day. It also acts as a content scheduler to ensure that you post it at the best possible time for your audience, across Facebook, Twitter, Instagram, Pinterest, and Tumblr. It helps you find suitable contacts/influencers and connects you with them. It also searches out trending products and assists with promotions for any Etsy, Shopify, WordPress or BigCommerce online stores you may operate. 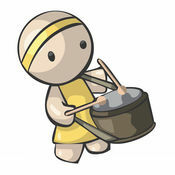 DrumUp is a social media management and content curation app for Facebook, Twitter, and LinkedIn. You can use it to discover relevant content you can share. You can also use it to schedule content delivery across multiple social media accounts. It mines content from across the web, suitable for a wide variety of industries. DrumUp claims to automate much of your social media management, saving you up to 90% of your time. It includes features like hashtag and @mention recommendations, GIFS, and emoji suitable for your posts. It includes an URL shortener to help improve your post readability. Hootsuite is probably the best known of all the content schedulers. 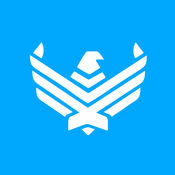 It is now established enough to provide full-featured mobile apps to its offering. 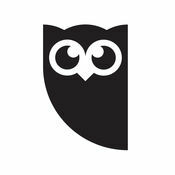 If you have a HootSuite account you can use its iOS (or Android) apps to schedule, publish and monitor conversations on any of your social media accounts. You can select a wide range of your social media feeds, and see the posts directly in the app. Not only can you see your Home feed on each social media account, you can also see your Twitter list feeds, company page statuses, and many more options. You can schedule posts to go out at either the times you choose or at auto selected best times for posting. A brand can follow its influencers’ feeds to keep an eye on relevant posts scheduled to be made. They have a companion app, HootSuite Enhance in the Apple Store which allows you to find, crop, size, edit and share images for your social media accounts. indaHash is an influencers platform, with an iOS app, that connects brands and influencers. We have previously reviewed the indaHash platform itself. You have to apply to be an influencer on indaHash. They require 700+ followers, a “proper” number of posts, a “good” engagement rate and “decent” quality posts. This is all very subjective, but obviously, they want to ensure that their influencers are genuine. Our review concluded that the platform is an undeniable winner. Using indaHash can achieve a reach that’s equal to what you’d get throwing money at the most popular influencers, but with much higher engagement rates. The iOS app provides excellent mobile access to the indaHash platform wherever you are. 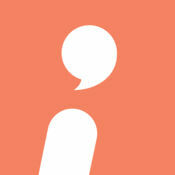 Influenster calls itself the most convenient and comprehensive shopping companion - a lofty claim indeed. Although not a typical influencer marketing platform, as such, Influenster is all about online influence. Influenster has built an online community to give them the ability to exert influence with numbers. Indeed, Influenster is now an online community of more than 3 million. The community members have made more than 14 million product reviews, covering more than 2 million different products. Each month Influenster sends their members VoxBoxes of free products to test and review. Many of these products are from well-known brands. InstaQuote helps you add text to photos and pictures to create the perfect Instagram image for sharing (either by yourself or by your influencers). Statistics regularly how that some of the most shared posts, across all social media channels, are pictures containing relevant text messages. InstaQuote provides you with a range of templates, backgrounds (although you can use your own photos), fonts, and visual effects to help you make that perfect Instagram image, that tells your message. 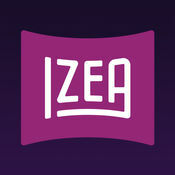 IZEA is an influencer platform designed to help bloggers, Instagrammers, YouTubers and other online personalities monetize their influence. They offer a single platform that covers all aspects of content production and distribution by influencers. Influencers can use the app to browse the platform to connect with brands. They can use it to bid and negotiate with brands who approach them for a possible influencer relationship. Influencers can use the app to create and submit content and control their social channels. Influencers can even use the app to withdraw cash they receive from brands, transferring it to their PayPal account. 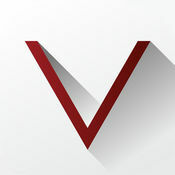 Jarvis is effectively a social media automation tool, which includes an app for those who prefer to operate on mobile. It works with Facebook and Twitter. You can use the app to search for engaging and viral content on both networks. It uses its AI to find what it believes to be the best content for your audience. You can use Jarvis to plan a schedule for your content so that it is sent at the most suitable time for your audience. 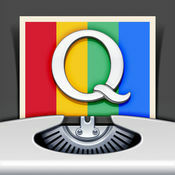 Photo Grid is a free photo editing app, that can help you make those perfect images for Instagram. It is surprisingly fully-featured for a mobile app and can compete with (expensive) industry heavyweights for many of your photo-editing needs. 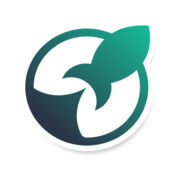 You can use it to share images to Instagram or indeed create graphics to share anywhere. You can import non-square shaped photos and position them on a square background. You can edit backgrounds, add borders, add text overlays to images, add intriguing calls-to-action and quotes to your images, as well as many other photo-editing tasks. It even lets you create slideshows and music videos. 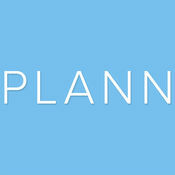 As its name indicates, PLANN allows you to plan your Instagram posts. 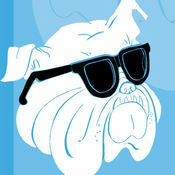 It provides you with everything you need to design, edit, analyze and schedule your posts - all from your smart phone. You can store your regularly used hashtags and put them into groups. This could be particularly useful if you use different hashtags for different campaigns - or even influencers. PLANN recognizes that Instagram was designed for mobile usage, therefore it makes sense to have a mobile app where you can prepare everything that you want to share on Instagram. 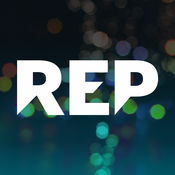 Rep is an online marketplace where anybody can attempt to monetize their social media accounts. Rep has no minimum numbers of followers. It allows potential influencers to interact with brands and other influencers to build up their social media following and to promote businesses and products. Brands can send out mass hire requests - so the real decision on whether somebody holds enough influence comes down to who the brands select to work with. It is basically a mobile marketplace between brands and social media micro- influencers where both parties negotiate prices and make deals. RightRelevanc describes itself as being an iOS application that provides access to highly relevant topical information curated by leading domain influencers on various social platforms. It allows brands to search and discover curated articles, videos, conversations, and opinions from top influencers, sorted on the brand’s interests. It provides access to influencers across a range of topical communities, with the ability for brands to interact and engage the influencers who seem most relevant. Skreem is a social influencer platform, that currently, solely operates on mobile devices - both iOS and Android. It enables brands to engage with their interest groups and potential customers for social media endorsements. It is still in beta, so there is limited access for influencers at the moment - they provide potential influencers with a referral code to gain access to the system. 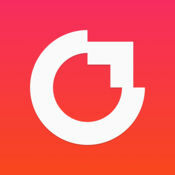 Skreem is primarily a social analytics company, and data is an important part of this app. 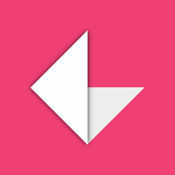 SocialPilot is a social media scheduling and marketing app that automates content sharing across Facebook, Twitter, LinkedIn, Google+, Pinterest, Instagram, Tumblr, Vk, and Xing. It is primarily aimed at agencies and social media professionals. It allows you to connect up to 200 social media profiles, pages, and groups all at one place. You can plan your content sharing strategies for a month ahead and share up to 500 posts per day, having a future queue of up to 5000 posts. 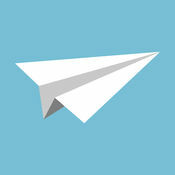 SocialPilot enables you to add team members who can schedule, approve and share all posts collaboratively. You can share content from other apps like Flipboard, Pocket, Pulse etc. It simplifies managing clients’ social accounts without exchanging their account credentials or being an admin. VYRL (which is a free app) connects Instagram influencers with brands and other influencers for collaborations. In some ways, it operates like Tinder for influencers. It shows you influencers and brands that you most relate with. If you're interested in collaborating with someone, swipe right to match, or left to pass. If someone also swipes right on your profile, VRYL matches the two of you. Once you're matched with another user, they will appear in your chat section and you can chat and collaborate with them.